Netsparker identified that the target web server is disclosing OpenSSL version in the HTTP response. This information can help an attacker to develop further attacks and also the system can become an easier target for automated attacks. An attacker can look for specific security vulnerabilities for the identified version. Also the attacker can use this information in conjunction with the other vulnerabilities in the application or the web server. 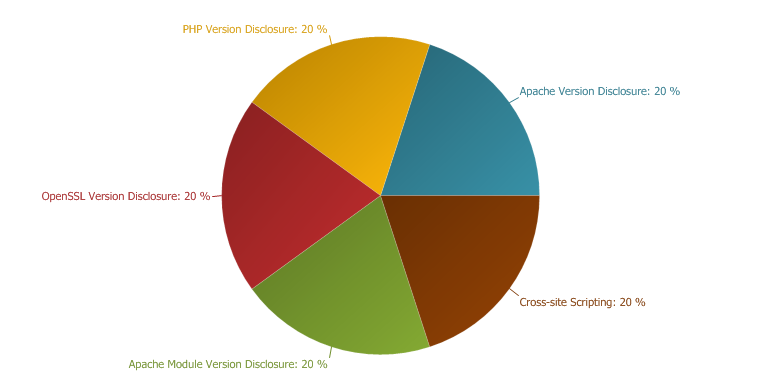 Netsparker identified that the target web server is disclosing one of the Apache modules version. This was disclosed through the HTTP response. This information can help an attacker to gain a greater understanding of the systems in use and potentially develop further attacks targeted at the specific version of Apache. An attacker can look for specific security vulnerabilities for the identified Apache module version. The attacker can also use this information in conjunction with the other vulnerabilities in the application or the web server.